Terra Fluxus is a recorder of the dynamic medium of landscape. 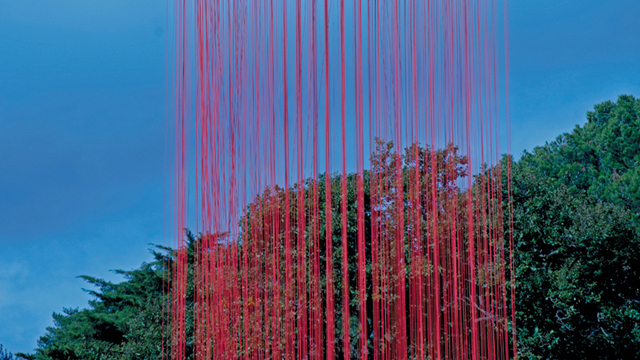 The field of vibrant red filaments are suspended 15 meters in the air and float just above the ground line. 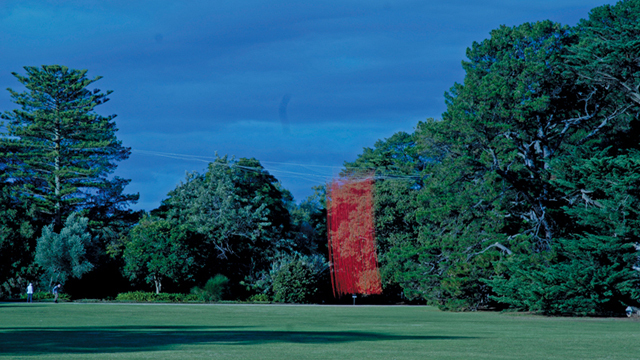 The space recorder acts to translate the natural process of the landscape through its being. Terra Fluxus shifts in the wind, interacting with the sway of the trees and a play of light. It is intended to amplify our senses to the subtleties of the phenomenon of the landscape. Terra Fluxus shifts the landscape from a thin veil over the ground to a thickened surface which encapsulates the forces from the sky to deep down into the earth. 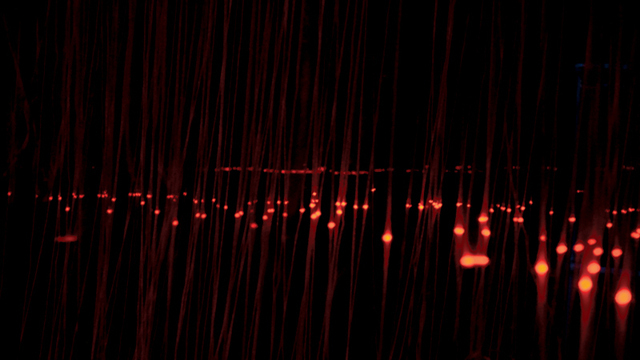 The project was a temporal sculpture in both its short lived life (1 March -27 May, 2007) predicated by the exhibition it was part of, and by its very nature of fluidly adapting to, and with, the dynamic medium of the landscape it was a part of. 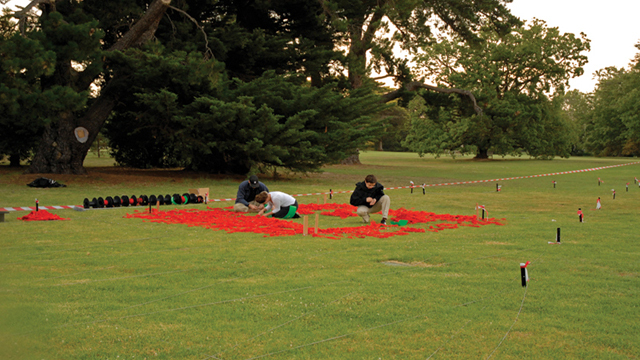 Terra Fluxus was part of The Helen Lempriere National Sculpture Awards at Werribee Park 2007, 1 March -27 May.